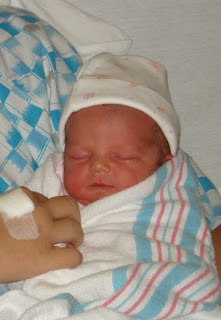 In other exciting news, my friend Erin had her baby yesterday (4/3/07). Her name is Ellie, and she weighed in at 6lbs 2 oz. She came a month early – if she would have been full-term I can only imagine that she would have been quite large!